What Is The Christian Bible? The Holy Bible is the written Word of God. It’s the book in which God reveals Himself to mankind. The bible is God’s love letter to His children. The Christian bible is the book of all books. It’s the most famous book ever written and it tops the best seller list with world-wide sales of over 100 million copies each year. The word bible is the English form of the Greek word Biblia. The word bible means “books.” The Holy Bible is a collection of 66 books written by 40 different authors who were inspired by the Holy Spirit. These writers consisted of men in many different social ranks from kings, peasants, fishermen, tax collectors, educated and uneducated, Jews and Gentiles. The Christian bible contains 39 books in the Old Testament and 27 in the New Testament. The Old Testament was written before Jesus and the New Testament is about the life and teachings of Jesus Christ, the son of the living God. The bible gives us wisdom. The bible reveals the truth. Everything a person needs to know about life is in the bible. 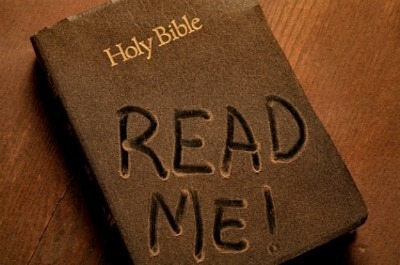 It’s not a book of fairy tales as some people believe, but it’s the source of truth and direction for our salvation. The legitimacy of the bible’s claims as being divinely inspired is through the fulfillment of bible prophecy. The bible claims to contain more than a thousand prophecies. A huge majority of these prophecies have already come true which can be verified by world history. Bible prophecy is being fulfilled even today. Israel becoming a nation in 1948 is just one of the major events prophesied in the bible. So, what is the Christian bible? It is God’s manufacturer’s handbook for life. It’s full of knowledge and wisdom. The bible reveals how God created the heavens and the earth and everything in it. The bible is our best source of truth and direction for Christian living. It teaches about peace amongst the turmoil in our life. It gives us instructions on how to manage money, how to be debt free and how to have financial freedom. The bible gives us the blessings and the promises of the covenant of Abraham if we walk in obedience to God. God’s Word teaches us how to defeat Satan and all of his demons,"Look, I have given you authority over all the power of the enemy, and you can walk among snakes and scorpions and crush them. Nothing will injure you. (Luke 10:19) But the most important thing we learn from God’s Word is that forgiveness for our sins comes through His son, Jesus Christ. Our eternal destiny depends on believing God’s Word, the Bible. God’s perfect will...where do we find God's perfect will for us? This is where you will find it - in God's Word, the Bible. When things get tough, always remember ... faith doesn't get you around trouble, it gets you through it. It is better to put your trust in the Lord than to put confidence in man. Amen. It is better to trust in the LORD than to put confidence in man." (Psalm 118:8 NKJ) This says it all doesn't it. (1) 'I've no time.' Really? Many of the books in your Bible can be read in 10 to 45 minutes . By taking a chapter a day you can complete the book of Proverbs in a month and the Epistle of James in five days. (2) 'I don't know where to begin.' If starting in Genesis and working your way through seems overwhelming, use the SoulFood reading we provide you each day. SoulFood and will take you through the whole Bible in a year in bite sized pieces . Just get started! (3) 'It's not exciting.' Do you like romance? Read the book of Ruth. Looking for adventure? Try Judges or Acts. Enjoy poetry? Explore Song of Solomon. From history to how-to, it's all in Scripture. (5) 'It makes me uncomfortable.' When you don't know what God's Word actually says, it's easy to equate it with negative experiences and hypocrisy you've observed, then throw out the baby with the bathwater. No question, the Bible makes you face hard truths: '...it judges the thoughts and attitudes of the heart.' (Hebrews 4:12 NIV) It gives you a check-up from the neck up. But you'll discover who you are, what you're called to do, and become empowered to do it! So, worship God through His Word – Read It, Pray It, Speak It, Believe It, Live It! Watch this beautiful video. Our heavenly Father uses His Word to reveal to us that He loves us with an everlasting love.